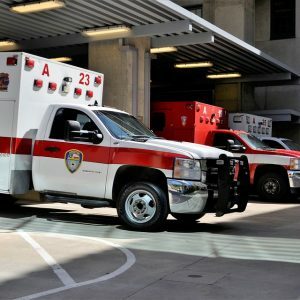 Paris, TX (April 14, 2019) On the evening of April 13th, a major head-on vehicle wreck happened on the Northwest Loop 286 at about 6:00 p.m. Reports revealed that one of the vehicles was headed in the wrong direction and collided head-on with another vehicle. When the ambulance arrived at the scene, they found three people suffering from unspecified injuries and immediately took them to the nearest hospital for treatment. Crews are still working on determining why one of the drivers was driving in the wrong lane. We wish all three injured victims a full recovery as they receive treatment for their injuries. Out of all of the fatal vehicle accidents in the United States, 10 percent of them are head-on collisions. These types of accidents almost always result in severe, catastrophic, or fatal injuries because a head-on collision is the most dangerous type of accident to be involved in. Damages are twice as bad since the force of impact is double when two vehicles collide head-on. Most of the time drunk drivers cause head-on collisions because too much alcohol puts them in a state where they inaccurately perceive their surroundings. At Benton Law Firm, our experienced personal injury attorneys passionate about helping those who have sustained serious injuries caused by head-on collisions, especially if the other driver partook in negligent activities. We are fulfilled when we are able to successfully help our clients recover financial assistance for their injuries. If you or someone you love are suffering from injuries as a result of a head-on accident, call us today at 214-219-4878 so we can assist you in filing a personal injury lawsuit.